100% Risk-Free Guaranteed Our seller warranty guarantees that your purchase is 100% risk-free. 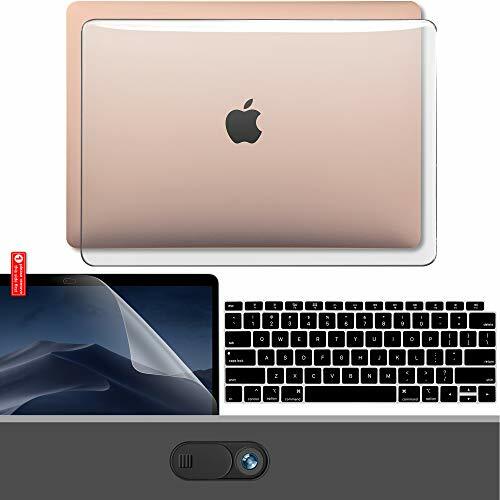 If for some reason your purchase doesn't work,we will provide immediately Support. Se7enline is committed to 100% satisfaction of our customers. If you find any issue with the product, please feel free to email us. We will fulfill your request promptly, hassle-free. 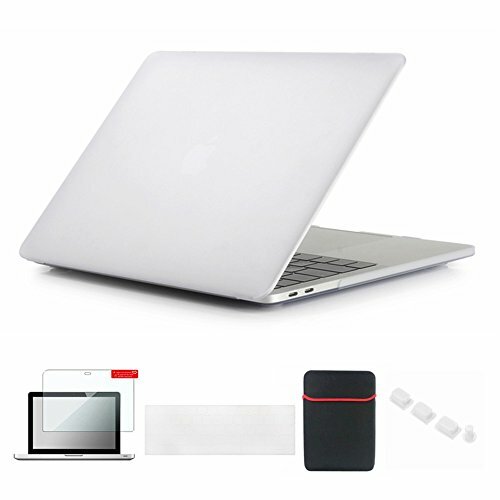 Features *High quality soft-Touch plastic hard case *Protects your Macbook from accidental hard knocks and scratches *Fully access to all buttons and features *Plug your charger, cable or headset without removing the case *Simple clip-on/off design without the added risk of harming your laptop during application Include 2 keybaord covers, one for touch bar version, the other for no touch bar verion. 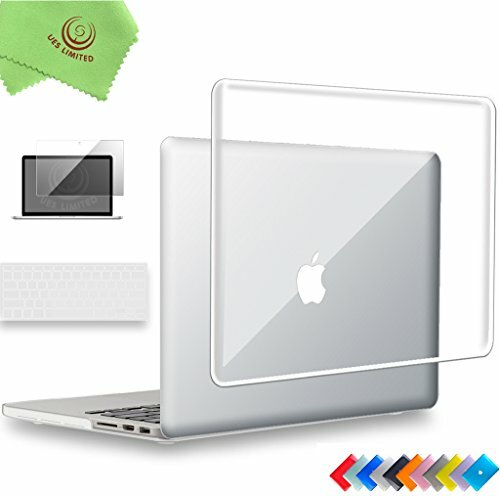 *It is a see through case, there is no Apple logo cut out on the case Package Contains: 1*Hard Shell Case for MacBook 2*Silicone keyboard Cover Skin 1* Clear Screen Protector 1* Soft Sleeve Bag 1*A set of Silicone Anti Dust Plug *Products are Macbook compatible and not produce by Apple, Inc.
SpecificationsSize :This MacBook Case Cover Only fits Apple MacBook Air 13.3" A1932. Not Compatible with other model. 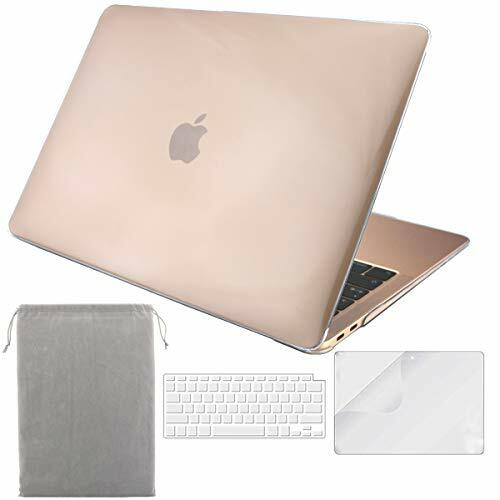 Material：Made of Smooth Finish Glossy Hard Case Plastic, all-round protects your MacBook from scrapes and scratches.Water-resistant,fingerprint resistant, fully vented for safe heat disbursement. Case Features 1. High quality Hard Case Plastic 2. Snap on design, easy on easy off 3. Fully access to all buttons and features. No Logo Cut Out Design 4. Plug your charger, cable or headset without removing the case 5. 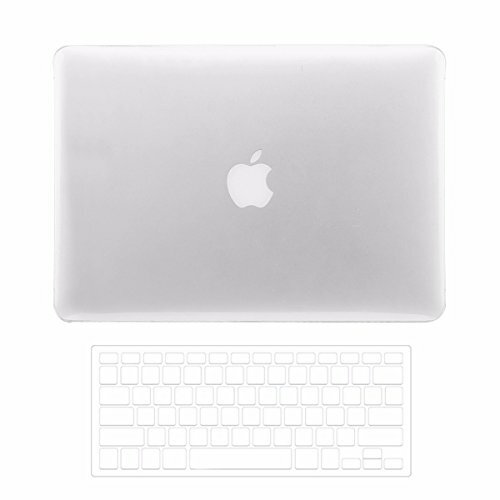 Super light-weight with smooth rubberized exterior texture to protect your MacBook from scrapes and scratches Keyboard Cover Features 1.Soft durable silicone material to ensure comfortable usage 2.Keywords are printed on the keyboard cover 3.Flexible, washable, easy to apply and remove for cleaning or disinfecting 4.Protect your Macbook keyboard against spills and contaminates Package Include 1x 2018 Macbook Air 13 Inch A1932 1x Keyboard Cover When you purchase this item you'll also get a 100% satisfaction guarantee. Love it or your money back. So go ahead! 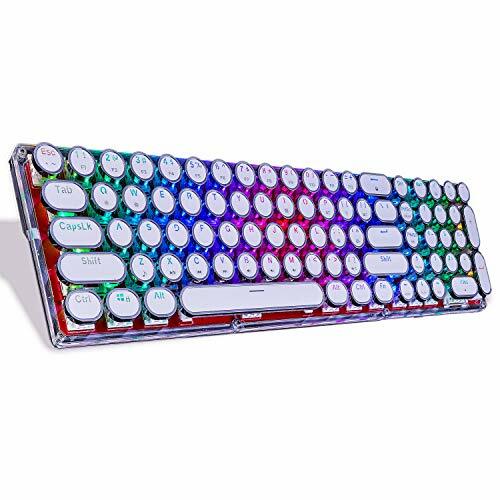 TopCase Crystal Clear Hard Case and Keyboard Cover This crystal see thru case is light in weight yet it is durable and long lasting to protect your laptop from everyday use. 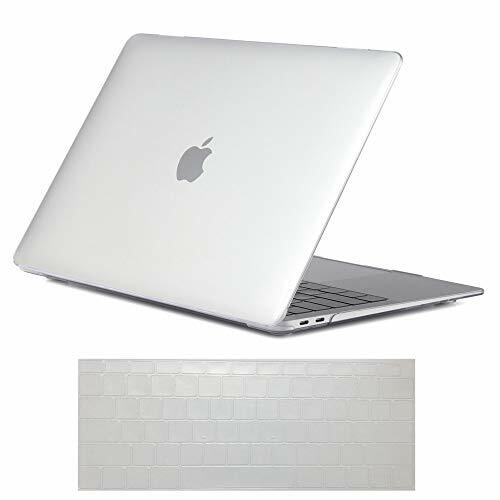 All of our cases are made with high standard so that your laptop is always protected from scratches, dints, scrapes, spills and dirt. This is a limited product and is exclusively ours. 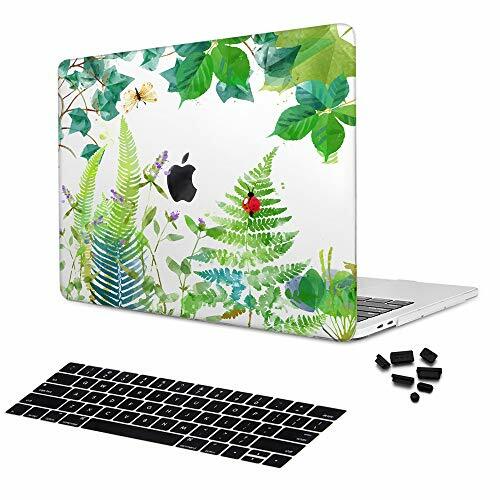 Case Compatible with: All MacBook Pro 13.3" Model: A1278 MB466LL/A, MB467LL/A, MB990LL/A, MB991LL/A, MC374LL/A, MC375LL/A, MC700LL/A, MC724LL/A, MD313LL/A, MD314LL/A, MD101LL/A, MD102LL/A. 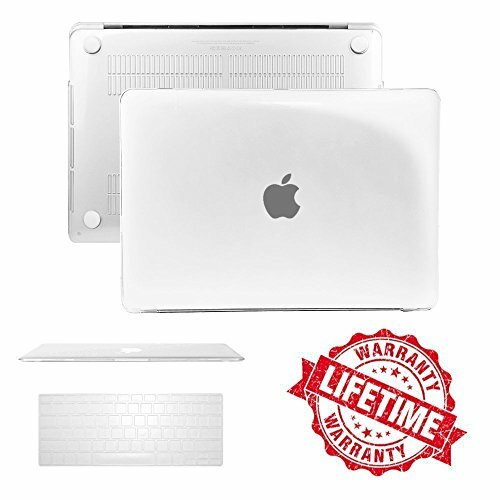 Case NOT Compatible with - MacBook Pro 13-Inch with Retina Display Model: A1425 and A1502 - MacBook White 13-Inch - MacBook Air 13-Inch Friendly Note: Please check the model number of your laptop before purchase. 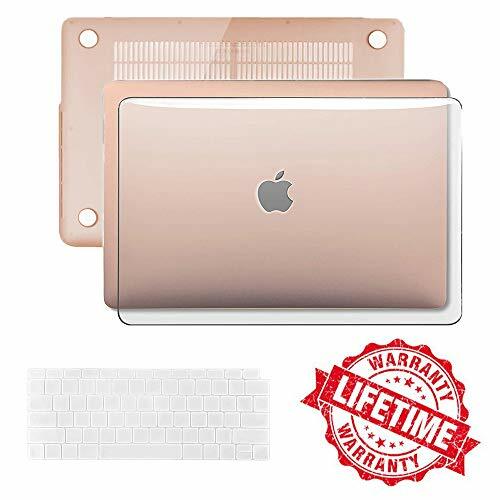 Make sure you choose the exactly same model number as the listing title stated. . * Apple MacBook are registered trademarks of Apple, Inc. Products are Apple compatible and not endorsed by Apple, Inc.
Transparent Crystal Hard Case Keyboard Cover Macbook Pro Air Retina 11 12 13 15"